If you have a DVD, the first thing you probably want to do is swap it out on your Mac and watch it on your phone, tablet, or somewhere else. The solution, of course, is to rip DVD on Mac to a digital format, then you can play it wherever you want. Generally speaking, there are two types of DVD: copy protected DVD and unprotected DVD. So, here we will talk about how to rip copy protected DVD and unprotected DVD on Mac. Part 3: How to Rip Unprotected DVD on Mac? Part 4: How to Rip Copy Protected DVD on Mac? As all we know, DVD is divided into two kinds, unprotected DVD and copy protected DVD. To rip either unprotected or copy protected DVD, a third-party DVD ripping program in needed like a DVD ripper. Comparatively, programs to rip unprotected DVD are easy to find as the technology to rip unprotected DVD is not so demanding. Several DVD ripping programs capable of ripping unprotected DVD are listed below. MakeMKV is a freeware in converting DVD, available on both Windows and Mac OS. The functionality to rip DVD discs is free and will always stay free. However, it cannot rip DVDs with the latest copy restrictions protected. If you have unprotected DVDs in hand, you can choose MakeMKV as a DVD ripping program to proceed. HandBrake is an open-source, GPL-licensed, multiplatform, multithreaded video transcoder, available for Mac OS X, Linux and Windows. It supports any DVD or Bluray-like source which is NOT copy-protected as input. (It is apparent that removal of copy protection is not supported.) It outputs MKV and MP4 videos with H.264, MPEG-4, MPEG-2 codecs and has preset profiles optimized for iPad, iPod touch, iPhone and Apple TV. 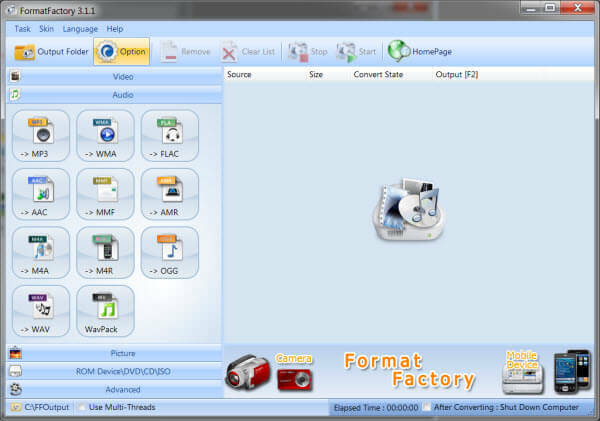 Format Factory is an ad-supported freeware multimedia converter with 60 languages supported that can convert video, audio, and picture files, but it doesn’t have Mac version. It is also capable of ripping DVDs and CDs to other file formats, as well as creating .iso and .cso file. However, DVD copy protection removal is not supported. 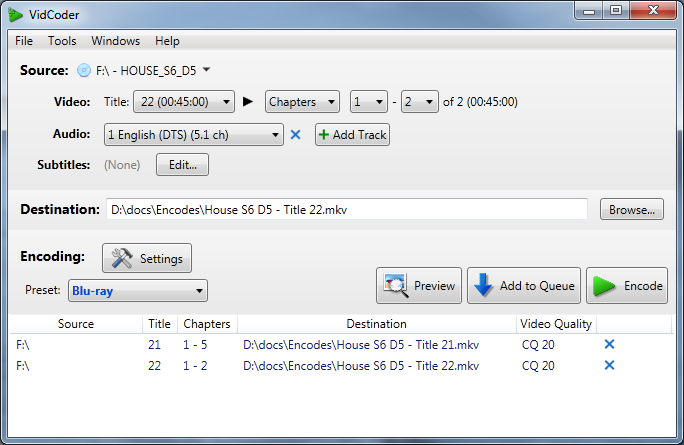 VidCoder is a free DVD/Blu-ray ripping and video transcoding application for Windows with batch encoding and multiple threads supported, but it doesn’t have Mac version. It uses HandBrake as its encoding engine. 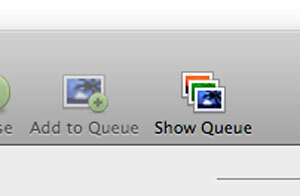 Compared with HandBrake, it has a relatively rich UI. 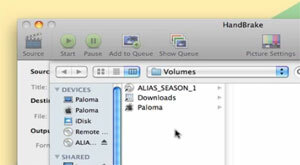 The same as HandBrake, it does not defeat the CSS encryption found in most commercial DVDs. Here is a note for users who want to rip copy protected DVD. As ripping copy protected DVD is against the law, anyone who would like to do so must obtain the copy right of DVDs or consult their local laws and regulations before ripping process begins. The following table chart lists several DVD ripping programs that support ripping copy protected DVDs. Please check it out. Leawo DVD Ripper is a professional DVD ripping program, able to rip not only unprotected DVD, but also copy protected DVD with CSS, Disney DRM, region code limitation. etc. It has Mac version Leawo DVD Ripper for Mac designed for users to rip both unprotected and protected DVDs on Mac. 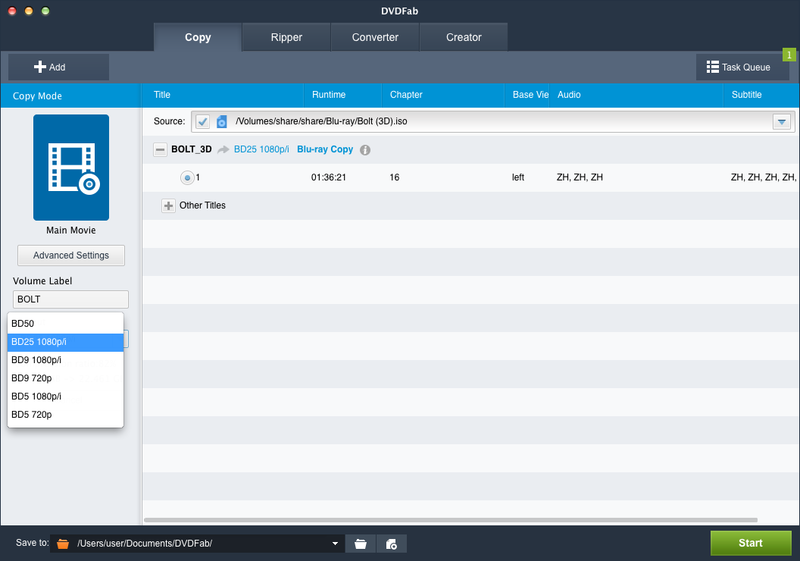 DVDFab HD Decrypter is a powerful but free DVD ripper. It can decrypt nearly any DVD movies by removing all known DVD protections. It’s a pity that this powerful DVD ripper doesn’t support video encoding, so you may have to use a third party video converter. WinX DVD Ripper is a free DVD ripping software available to remove DVD CSS, UOP, RCE, region code and even Sony ARccOS. However, it doesn’t support DVDs encrypted by Disney X-project DRM adopted by Disney, Paramount and Warner as its paid version does. The free DVD ripper also has other restrictions like Multi-core CPU nonsupport, poorer image quality and limitations of outputs, inputs & advanced features which force the users to buy their Platinum version. In addition, WinX DVD Ripper has a free Mac version called WinX DVD Ripper Mac Free. Without copy protection, to rip unprotected DVD is much easier than to rip protected DVD, and there are more free programs that can help to rip unprotected DVD. In this part, I am to share with you the idea how to rip unprotected DVD on mac with the open source cross-platform HandBrake. This free program is available for not only Mac OS X, but also Windows XP, Windows Vista, and most distributions of Linux including Ubuntu, Fedora, SuSe, and many others. The following step-by-step guide shows how to to rip unprotected DVD on mac with free HandBrake program. Open Handbrake and you’ll be asked to locate a source. Choose a DVD, DVD ISO image, or a VIDEO_TS folder. You can also choose pretty much any video file, too, as Handbrake will convert standard video files as well. Once you have your source selected, open it up. Once Handbrake has loaded your source file, in the upper left-hand corner you’ll find the Title drop-down menu. Select that and you’ll see a list of all the tracks Handbrake can rip. Just select the track you want and you can move on to choosing your settings. Next you need to decide how high (or low) you want the quality of your ripped content to be. In the video panel, you can drag the Constant Quality slider from left to right to adjust the quality. (Right is higher, left is lower.) Alternatively you can set an average bit rate (we’ve created a calculator to help you find the perfect bit rate) or use a Handbrake preset for a specific device. Once you’ve chosen your video settings, click the audio tab and make your audio choices. For the most part you can leave this alone, but this section is where you’ll set things like the audio language of your ripped content. You can also change the audio bit rate here, but note that if you’re ripping content for an Apple device you cannot set that bit rate above 160kbps. Now that you’ve got all your settings in Handbrake you can go ahead and rip that DVD. If you’re only ripping a single file, press the Start button up top. If you want to batch-rip more content, click the Add to Queue button (also up top) and repeat this process for the addition content. Once you’ve got it all in your queue, go ahead and press the Start button. For preventing commercial DVDs used for illegal purpose, DVD producers work through a way to make DVD copy protected. And the most efficient and trustful DVD Copy-protection is called CSS, short for Content Scramble System. This DVD copy-protection approach prevents DVD owners from backing up DVD. As a result, it’s not easy to rip copy protected DVD. Fortunately, there are some DVD ripping programs on the market that are able to rip copy protected DVD like listed on Part 2. 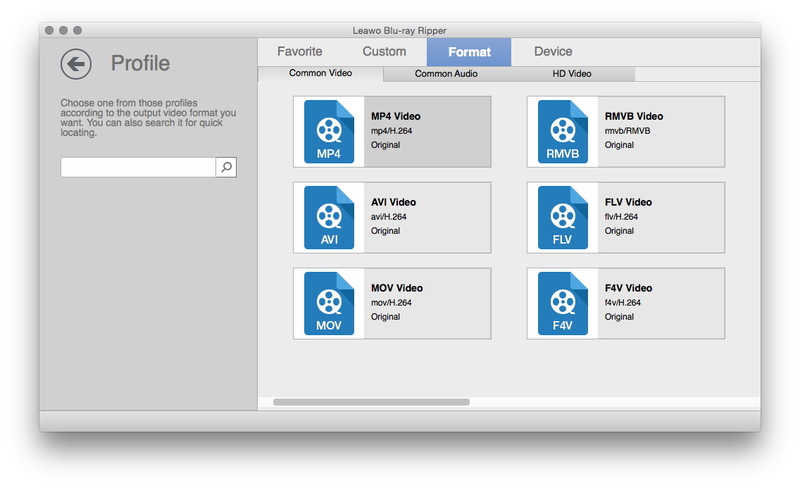 Here we choose Leawo DVD Ripper for Mac to show you how to rip copy protected DVD on Mac. 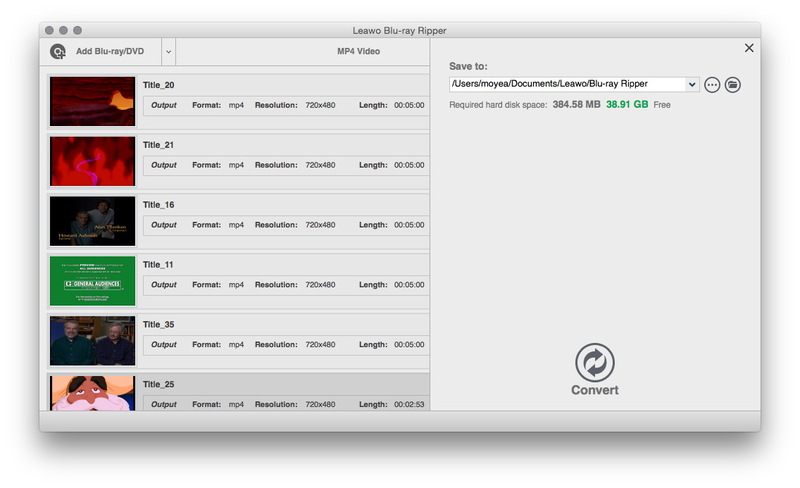 Why do we choose Leawo DVD Ripper for Mac to rip protected DVD? The answer is simple. 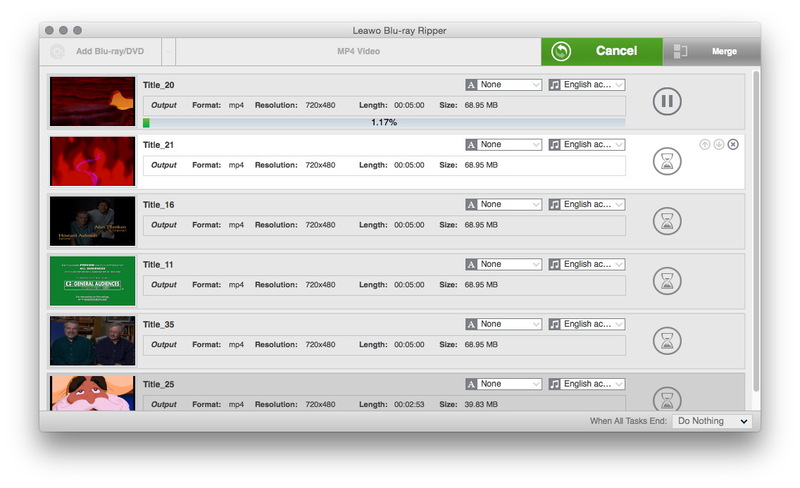 As a professional DVD ripper, Leawo DVD Ripper for Mac is superior to any free DVD ripping application. 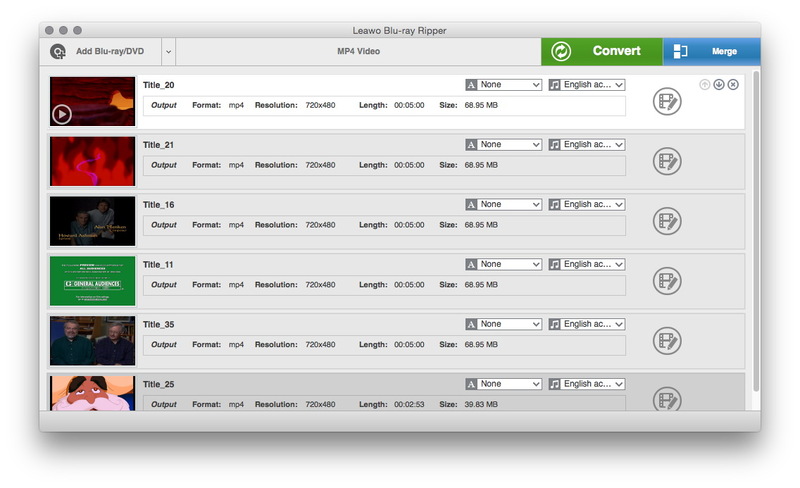 Leawo DVD Ripper for Mac can rip DVD with high quality. It can rip DVD on Mac to video in more than 180 different video formats including MP4, MOV, and M4V supported by iOS devices in simple steps, no matter it is unprotected or protected DVD. It can rip commercial/noncommercial DVD, and remove DVD discs region limitation. The built-in handy video editor helps customize video effects, including trimming, cropping, adding effects and watermarks. What’s more, it can also create 3D movies and provide different 3D modes. For more detailed settings, you can choose to set profile parameters, select subtitle/audio track, merge files into one, etc. Just downnload and install get it and begin to rip protected DVD Mac with Leawo DVD Ripper for Mac for video playback on your iPhone 6 Plus, iPad, iPod Touch in just a few mouse clicks. If you are Windows users, click the icon below to download Leawo DVD Ripper. With Leawo DVD Ripper running on, click “Add Blu-ray/DVD” button to import source DVD. 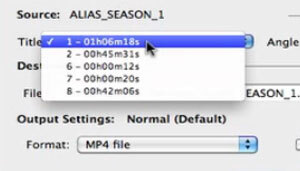 Note: If the target format is MP4, the same as the one by default, you needn’t change the output format, but if your target format is not MP4, you need to pick up the target format in the “Profile” panel. Click the bottom “Convert” button to start to rip protected DVD on Mac. Congratulations! You have succeeded to rip copy protected DVD on Mac. You can now play the movie on your portable devices freely on the go after you transfer converted video to the devices.